It’s been over a month since Twelfth Night, the official opening of Mardi Gras season and the appearance of king cakes. You’d think we’d be tired of all the sugar. ABSOLUTELY NOT! In fact, because of the many varieties of king cake flavors and styles, you’re able to enjoy our beloved Mardi Gras dessert like never before. You can’t go wrong with old school king cake. Buy your favorite flavors and filings from one of our awesome bakeries or take it to the kitchen and bake your own. Click here for the recipe. 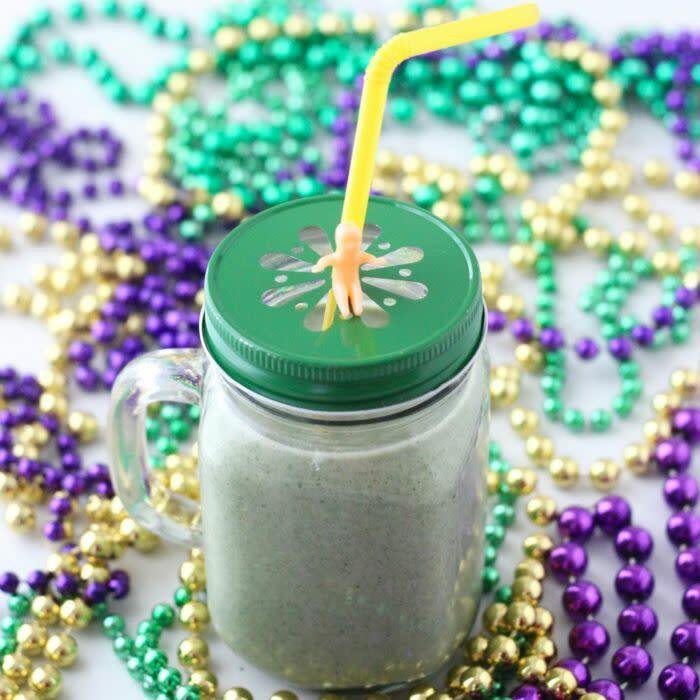 Get into the Mardi Gras spirit by trying a King Cake Smoothie, a much healthier alternative to this delicious dessert! You might be wondering, a sno cone in February? In Louisiana, we enjoy our frozen treats year around. In fact, it could be 80 degrees on Fat Tuesday! Double king cake cookie. Double cream. No explanation needed. Have your king cake and drink it too! 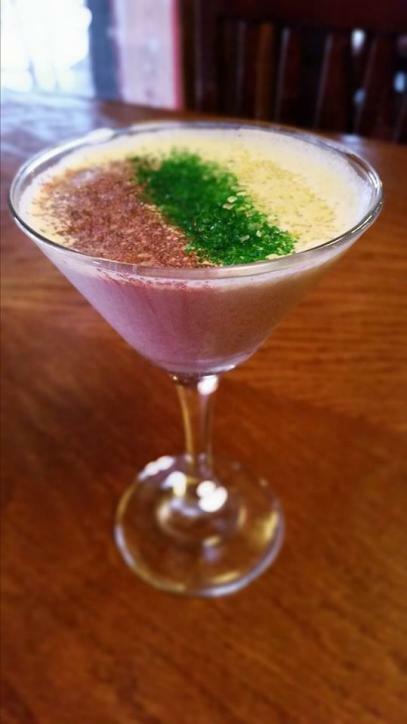 Topped with purple, green, and gold sugar; this cocktail screams Mardi-Party! These darling little donuts can be found at the local farmers markets and soon at the new Sloppy’s Downtown in Lake Charles. It’s pure Mardi Gras magic. All the wonderfulness of king cake with the decadent flavors of bread pudding. Here’s the recipe for you to try yourself. Twists on king cake are nothing new in Southwest Louisiana. Here are a few more from the past 2 years. Tried, true and absolutely enchanting.